Recruitment campaign targets science, technology, engineering and maths. The ‘Teaching Makes People' campaign targets university undergraduates studying science, technology, engineering and maths (STEM) subjects as well as people currently working in STEM industries. The campaign is based on research showing people attracted by and suited to teaching are generally motivated by helping to develop others and making the most of their own knowledge. It builds on the success of last year's ‘Inspiring Teachers' campaign which saw a 19% increase in applications for education post graduate diplomas (PGDE) at Scottish universities compared to the previous year. The Scottish Government is firmly committed to maintaining teacher numbers, and are investing £88 million this year alone to recruit and retain teachers across the country. This is in addition to our work with GTC Scotland and universities to develop new ways to attract people into the profession, supported with £1 million from our Attainment Scotland Fund. 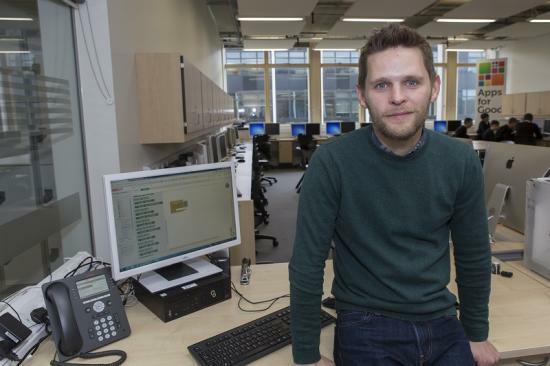 Chris Aitken, Computing Science Teacher at Wick High School, recently joined the campaign and hopes to encourage locals to consider a teaching career. He said: "The reason I went into teaching instead of a career as a programmer was that I, quite simply, enjoyed playing. Being able to play and experiment with different technologies undoubtedly inspires me and I know this passion and enthusiasm gets passed on to pupils. I enjoy the fact that teaching Computing Science means that my course is constantly changing as the technology sector evolves and science advances. I try to make sure my courses are relevant to young people, for example just recently one of my classes was making Facebook chat-bots and another was using Raspberry Pis to build and code mobile robots. I therefore find teaching Computing to be incredibly creative, challenging and fun. If you as a teacher bring an enthusiasm and passion to your subject, it 100% rubs off on young people and engages them. If you are passionate about your subject, choose teaching. You can make a difference to young people’s lives." In what was undoubtedly a first for Wick High school Murray Watts, script writer and director in the film industry compered an evening of short films and Oscar awards. Murray introduced and interviewed his friend author and TV presenter Sally Magnusson describing their family connections over many years.